Blind Concepts offers an impressive selection of conservatory blinds which are practical and aesthetically pleasing. They make the perfect addition to your conservatories and can enable you to create a comfortable and stylish space. If you are eager to transform the look of your Melbourne conservatory, browse through our collection for an amazing range. 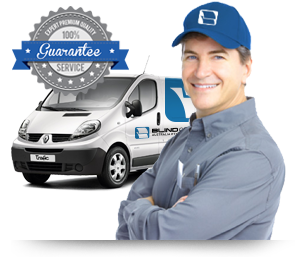 At Blind Concepts, we have the complete solution to cater to all your conservatory awnings and blinds needs. With our expertise and wide experience, we can tailor the right blinds for you. It is our goal to craft a blind that perfectly merges with the décor of your space and enhances its appeal. With our huge range of conservatory blinds, you have amazing options to choose from. Whether you wish to add blinds with a luxurious finish or one that is simple, we have something great for all our clients. Our stunning range of conservatory shutters is designed to complement the existing look of your conservatory and also keep it cool in summer. If you wish to add a contemporary look, you can opt for metal conservatory blinds. Check out our collection to discover a versatile range of conservatory blinds for your home. We offer a complete range of services to enable you to spruce up the look of your home. With our wide array of options, you can select a blind that exactly suits the needs of your space. If you are looking for conservatory automation services, we have your requirements covered. By automating your blinds, you can add a new level of convenience to your home. We design, fit and install motorised blind solutions for conservatories across Melbourne. All our products are handmade, to measure and fitted by our expert team. Choose from our great collection of blinds today to complete the look of your home. If you need any help, feel free to call us at 03 9720 1778. You can also get in touch with us online for a free quote.